I’m particularly drawn to TED Talks because the really good ones stretch the dimensions of the mind and force us to think in a bit different way. The idea-filled monologues, always fascinating and one of a kind, leave us in a state of “WOW”, like an episode of Stranger Things from Netflix. TED Talks have been inspiring people all around the world to form a global community with the passion for ideas to change attitudes and lives. There are a wide range of presentations full of lessons and tips on everything, including an entire set how you can sustain a happy, creative life. We’ve rounded up our 10 favourites about design and marketing below. Enjoy! Stefan Sagmeister is Austrian graphic designer and art director, who takes the audience on a journey through moments of his life that made him happy — and notes how many of these moments have to do with good design. Joe Gebbia, designer and co-founder of Airbnb explains how turning fear into fun is the greatest creativity. David Carson discusses his belief in the emotion of design and walks the audience through an amazing (and often quite funny) slide deck of his work and found images. Simplicity can be a huge question in design. John Maeda talks about paring it down to basics. Theo Jensen’s talks about building Strandbeests - walking kinetic sculptures designed to move and even survive on their own. There's a flip side to everything, the saying goes. Derek Sivers proposes a striking argument in his short TED talk Weird, or Just Different? It seems that physics and marketing have pretty much in common and Dan Cobley is passionate about both! Ideas that spread win. Marketing Guru Seth Godin can help you think about your company's marketing strategy in a different way. There is no one way to treat all consumers and Malcolm Gladwell explains why happiness equals to chunky garden spaghetti sauce. Sheena Iyengar explained, after her fascinating findings, how businesses can improve customers' experience when making choices. 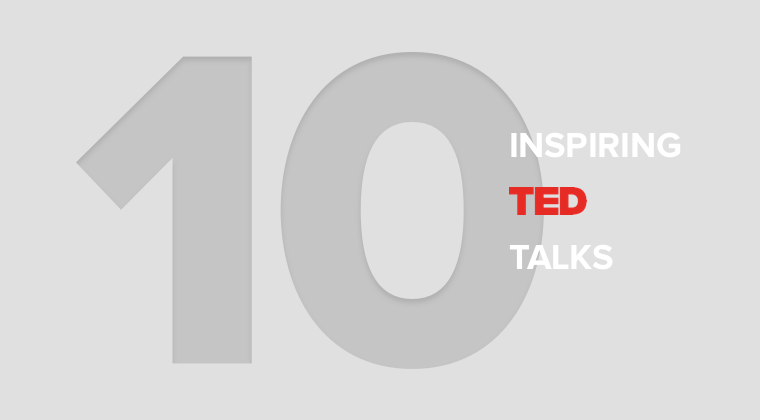 What's your favorite TED Talk ever? Sound off in the comments!